Every shampoo today speaks about strong hair, but what really matters is the roots that make the hair strong. Only strong roots can give you strong and healthy hair. 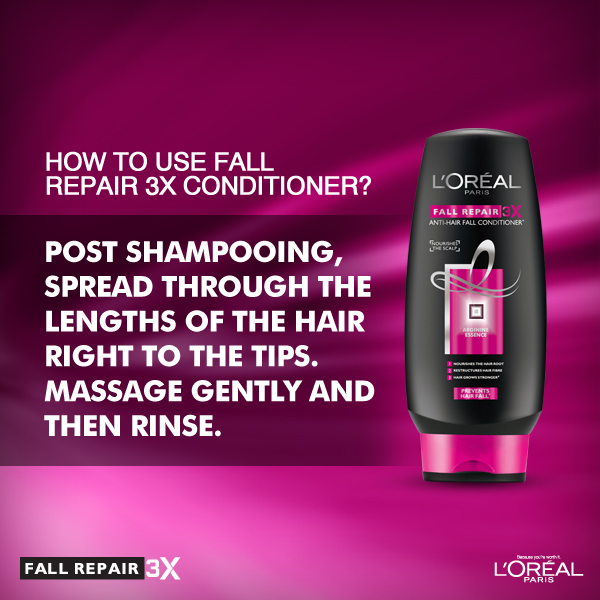 L’Oreal Paris Fall Repair 3X is one such shampoo that takes care of your roots. 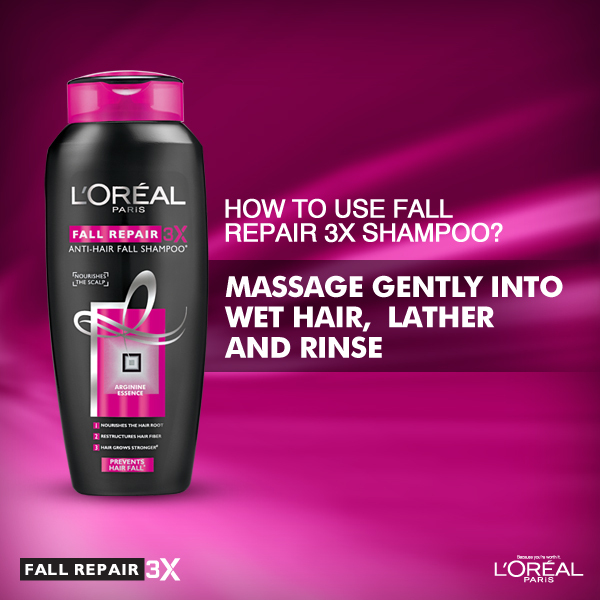 Fall Repair 3X is an Anti-Hair Fall Shampoo that delivers a triple anti-hair fall action. It nourishes the hair root, restructures hair fibre and helps the hair grow stronger from root to tip. 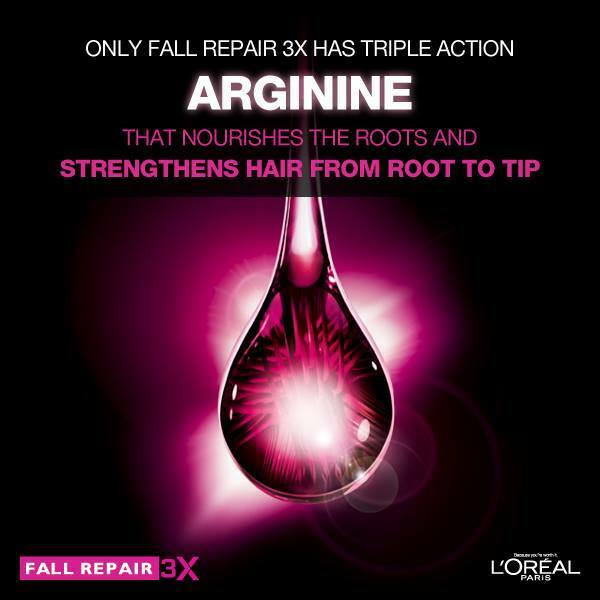 Only Fall Repair 3X is enriched with Arginine Essence. Arginine is an essential amino acid that is vital for hair’s constitution. It is known for nourishing the scalp to improve micro-circulation. ‘Stay Rooted’ is all about remembering your roots and knowing that whatever you are today is because of your roots. It's about taking time out to thank and appreciate people, things, places etc from your past that have made you "You". Your roots are the main reason for your strength & L'Oreal Paris Fall Repair 3X is giving you a chance to connect to your roots. L'Oreal has released a video where they have captured people from across different sections of society telling us about that one special person who they’d like to go back in time and thank. Here’s the Go Back In Time video link http://bit.ly/GoBackInTime Please have a look and share your answers here Girls. I am using Loreal total repair ! Would love to try this one.. It seems a great product, I'd love to try it! I agree with you:) and it works for me..
hi there ! first time hear..nice blog. but alas..i stopped using these products coz of the SLS presence in them.and they are really harmful. almost, all leading international brands have it. just sticking to indian ones like himalaya..so so these days. and..feel free to drop by my space too when you get the time. Just jotted some handy tips on "sane motherhood" on my "Picks quicks" blog. Hope you will be a follower there. Hey Radha, please could you write up some healthy at home hair care stuff too...looking forward. Totally agree Radha.... I love L'Oreal total repair!!!!!! Very interesting post! I love l'Oreal too!! I was lucky to receive a sample of this shampoo but it didn't work well on my hair, xoxo.